One of the UK’s top eye surgeons, Mr Ali Mearza is a Director and founding partner of Ophthalmic Consultants of London. He is also the Clinical Director of ophthalmology and lead consultant ophthalmic surgeon at London’s Imperial College Healthcare NHS Trust, the UK’s first Academic Health Sciences Centre. Ali Mearza has been voted by his peers as one of the best surgeons in the country and his ethos is to provide the very best personalized care using state of the art technology and techniques. He qualified from Charing Cross & Westminster Medical School in 1996 and shortly after began his career in ophthalmology. He completed his training in London and went on to complete a year’s fellowship in cornea & external eye disease at Moorfields NHS Trust. He followed this with an additional one year fellowship in laser refractive eye surgery at the prestigious Emmetropia Mediterranean Eye Institute on the island of Crete, the birthplace of modern LASIK. Mr Ali Mearza was appointed as a consultant in 2007 and has transformed the sub-specialty corneal service at Imperial College Healthcare NHS Trust into one of the best in the country. 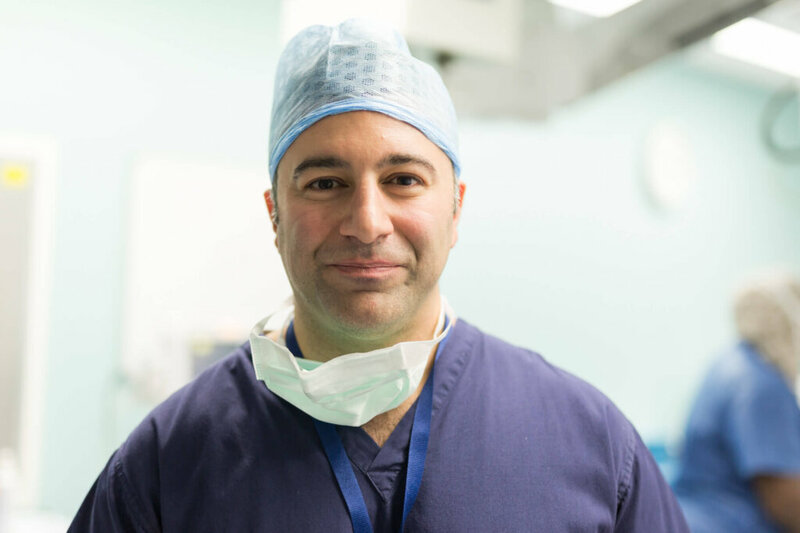 He is considered one of the best surgeons in London and is regularly invited to share his expertise and insights to colleagues in the UK as well as Internationally. In July 2016 he was appointed as the Clinical Director of ophthalmology and is now responsible for the clinical leadership of the ophthalmology service at Imperial which spans across 3 sites; Charing Cross Hospital in Hammersmith, The Western Eye Hospital in Marylebone and St Mary’s Hospital in Paddington. Amongst his other roles, he is a medical monitor and clinical investigator overseeing clinical trials related to new ophthalmic technologies and is a member of the UK and European Societies of Cataract and Refractive Surgery (UKISCRS, ESCRS) as well as the American Academy of Ophthalmology (AAO). He has a keen interest in voluntary ophthalmology and has performed charitable work in India, Bali, Burma, Madagascar, Bangladesh, Ghana and Cambodia. His specialist interests are in laser and lens vision correction techniques, cataract surgery and corneal transplantation. Mr Mearza is an internationally recognised speaker and has presented his work at the European and the American Society of Cataract & Refractive Surgeons. He has also presented at the American Academy of Ophthalmologists and the Association of Research and Vision in Ophthalmology forums. He is regularly invited to speak at international conferences as a renowned surgeon and expert voice in his field. Mr Mearza acts as a Medical Monitor and Principal Investigator for various industry sponsored trials looking at new drugs and treatment modalities in ophthalmology. He has a strong collaboration with the Ophthalmic Technology Group-International (OTGi), a full service Clinical Research Organisation (CRO) dedicated to ophthalmic research. As clinical director of ophthalmology at Imperial College NHS Trust, Mr Mearza actively promotes research within the eye department through the Imperial College Ophthalmic Research Group (ICORG). This is a dedicated clinical trials unit within Imperial solely focused on research within ophthalmology. At the forefront of developments in technology, Mr Mearza published a study evaluating and comparing modern excimer lasers used in laser vision correction. He was the first surgeon to publish results of LASIK laser eye surgery using a combination of the Ziemer femtosecond laser and the Wavelight Allegretto excimer laser, two of the most technologically advanced lasers available on the market today. The published results are amongst the best in the world for laser vision correction. Out of 887 short-sighted (myopic) eyes undergoing laser eye surgery treatment, 96.9% of eyes achieved 20/20 vision after the operation. When both eyes were considered together, 100% achieved 20/20 vision after their laser vision correction surgery. There were no significant complications with any of the patients treated either during the operation or after surgery. 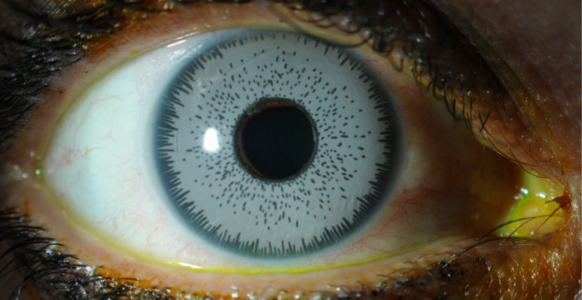 In 2007, Mr Mearza published the first UK series of patients undergoing a new partial thickness corneal transplantation technique (endothelial keratoplasty). He also presented the results at the American Academy of Ophthalmology Meeting in the USA. The technique has since been modified further and Mr Mearza is amongst an elite group of surgeons who offer the new and improved technique which allows for faster visual recovery and healing. The new technique called “DMEK” involves transplanting a 15 micron thick piece of tissue into the eye. You can watch a shortened version of the DMEK corneal transplantation technique to understand more about this procedure. Mr Mearza is a world expert in the removal of cosmetic artificial iris implants. These are non-CE marked and non-FDA approved products, making them illegal in the UK. They have caused considerable harm to a number of patients. Mr Mearza has published numerous articles both in the peer reviewed literature, ophthalmic press and National Press about these implants and their risks. He has also been featured on television discussing the danger of these implants and his YouTube channel showing footage of his removal technique for these implants has over 250,000 views to date. Ali Mearza has over 30 peer reviewed publications to his name and is an invited journal reviewer. His publications range from case reports, book chapters, clinical reviews and studies looking at new techniques and technologies. Details of his research and publications can be seen on ResearchGate or PubMed, both publicly available domains where research profiles and results are presented. At Ophthalmic Consultants of London we pride ourselves on offering a first class service but you may still want to hear directly from our patients to help you in your search for the best surgeons for your vision correction journey. Click on the videos to see some of our patients sharing their vision correction journey with Mr Mearza. Mr Ali Mearza is obviously extremely talented and competent in his field, with excellent results as far as I am concerned. Mr Mearza’s work has featured in the National Press as well as on television and he is regularly consulted for opinions on eye related matters and developments. He has been featured in the Daily Telegraph, the Daily Mail and the Evening Standard as well as Men’s Health and Woman’s Own magazines. Following 10 years of training at some of the World’s finest institutions, a years’ corneal fellowship at Moorfields NHS Trust and a years’ refractive fellowship on the island of Crete, appointed as a consultant ophthalmic surgeon at Imperial College Healthcare NHS Trust, the UK’s first academic health sciences centre. 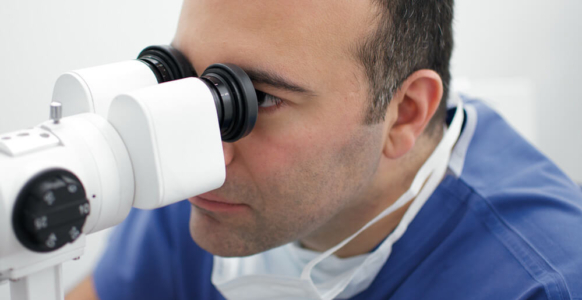 Sets up a specialist NHS laser refractive service offering patients minimally invasive treatment for qualifying eye conditions – one of only a few centres in the country offering this treatment. Led a team of surgeons and nurses on a charity trip ‘Touch of Light’ to Ghana restoring vision to just over 200 patients with advanced cataracts. 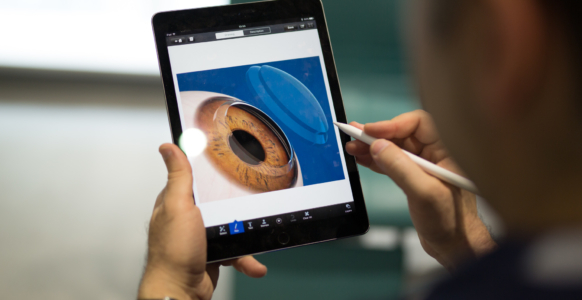 Sets up an NHS Cross-linking service – a revolutionary treatment for patients with keratoconus and one of the first Trusts in London to offer this treatment for its NHS patients. Reaches over 40 research publications and presentations at International conferences. Reaches over 10 published press articles and television appearances. Becomes a World expert in the removal of cosmetic iris implants having presented his technique and published his experience extensively. Reaches over 10,000 Laser and Lens Surgery procedures performed with consistently good feedback and reviews from patients. Appeared on a specially commissioned programme for the Discovery Channel where his experience in removing a large foreign object from an eye was highlighted. Reached 200,000 hits on his YouTube channel where many of his surgical techniques are presented. Sets up an NHS “DMEK” service – a ground breaking corneal transplantation technique where only a 10 micron thick piece of donor tissue is transplanted resulting in much faster visual recovery for eligible patients. Appointed as Clinical Director for Ophthalmology Services at Imperial College NHS Healthcare Trust with responsibility for eye services at The Western Eye hospital, St Marys Hospital in Paddington and Charing Cross Hospital in Hammersmith. 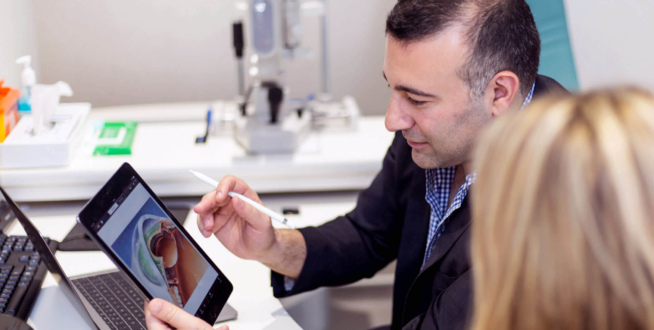 Founding Partner and Director of Ophthalmic Consultants of London – a company offering the very best in customised and personalised eye care using the latest technology and techniques. Mr Mearza has a strong interest in charitable ophthalmic work and has been on numerous trips abroad helping some of the world’s most needy people see again. His interest in charitable work began in 2001 with a visit to India. This was followed by subsequent trips to Bali, Burma, Madagascar, Bangladesh, Ghana and Cambodia restoring sight to patients afflicted with cataracts. Although some of the places visited and the environments are challenging, this is offset by the huge rewards and gratitude that come with giving people their eyesight back.